This week I decided to just peruse the aisles of Whole Foods and pick out a piece of produce that I’ve never had before. 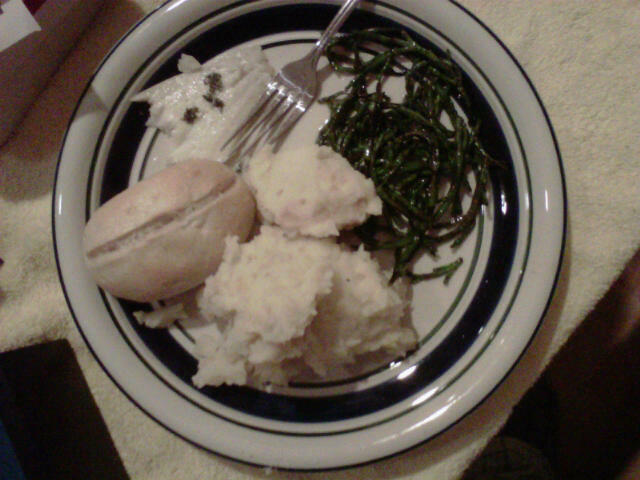 I ended up with two – celery root and sea beans. I didn’t know much about either, but I’ve learned a ton, specifically that they are both delicious. Andrew and I decided to tackle both foods together. We googled recipes and information on each to figure out how to best prepare them. We settled on mashing the celery root with some potatoes, loosely following a recipe for “Celery Root and Potato Mash with Horseradish” we found online. Our biggest mistake was not realizing that the celery root takes considerably longer to cook than the potato. Following the advice of the cashier at Whole Foods, we decided to steam the sea beans then saute them with olive oil, salt and pepper. We thought we’d top off the meal with sole, cooked with olive oil, garlic and parsley. Let me start by saying that the meal was delicious and cooking it was so much fun. But don’t get me wrong – that doesn’t mean it went smoothly. We just didn’t cook the celery root long enough and I don’t have a good potato masher, which resulted in some very lumpy mash. Not untasty mash, but just considerably lumpy. Andrew, being a good sport, took the brunt of the lumps and gave me the smoothest serving, which I gotta say was still pretty lumpy. But it was tasty! Like mashed potatoes with a delicious twist. The sea beans were salty. This was our own fault, since we didn’t really do any research on how to prepare them and just went by what the cashier at Whole Foods suggested. Foodista later revealed that sea beans are “naturally salty from the seawater environment where they grow, so care should be taken in adding additional salt to dishes containing them.” Whoops! I really don’t like things that are very salty, but Andrew seemed to like them a whole lot. So the final result: The meal was a delicious success! 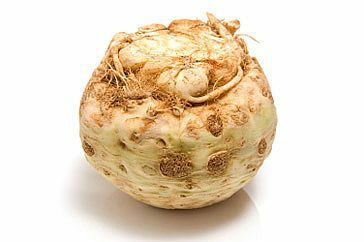 But next time we are boiling the crap out of that celery root. Even the lumpiest lumps were delicious, despite their resistance to the traditional method of consuming food known as “chewing”. 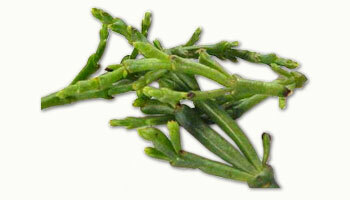 And yes, I was quite partial to the sea beans. Sea bean salad sometime? Sign me up.